Heart failure and cardiomyopathy development is the most serious, and life-threatening consequence of end-stage cardiovascular diseases. Accumulating evidence suggests pro-inflammatory pathways play an essential role in the development of myocardial dysfunction and heart failure and non-alcoholic steatohepatitis (NASH) is a recently recognized co-morbidity of cardiovascular diseases that associates with a systemic inflammatory state. There is an increasing need from the industry to develop translational models for NASH for drug testing. Recently new mechanisms (neutrophil extracellular trap formation) and molecular components (inflammasome) have been identified being involved in triggering proinflammatory milieu, however, their contribution to cardiac derangements remains elusive. Therefore, Zoltán Varga, MD, PhD and Pharmahungary Group submitted a grant proposal for Horizon 2020’s Marie Skłodowska-Curie actions call H2020-MSCA-IF-2018, titled: “Novel inflammatory mechanisms in myocardial dysfunction and in heart failure”, short title: CARDINFLAMM. 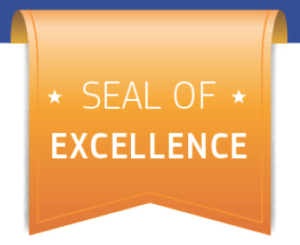 CARDINFLAMM proposal passed the 3 award criteria (excellence, impact, quality and efficiency of implementation) required to receive funding from Horizon 2020 and received Seal of Excellence.